So the American League Division Series games and series went in two different directions yesterday. The Boston Red Sox have looked pretty darn good in all facets of the game against a potentially tiring Tampa Bay Rays team. On the other side, a rookie matched a great inning for inning until the Oakland A’s walked it off in the ninth to deadlock the series with the Detroit Tigers. David Price is a very good pitcher, just not so much in the playoffs so far (0-4, 5.81 ERA, .303 BAA). The Red Sox have their hitting shoes on, much like they did all season. This offense can thump. Watching David Ortiz hit two homers in a game was not surprising, but it was to know it was the first time he did it in the postseason. The Rays are probably excited to go home; hopefully their fans will show up in force and help push this series further. Of course, this is in the player’s hands so they’ll need to figure out a way to shut down Boston’s offense. 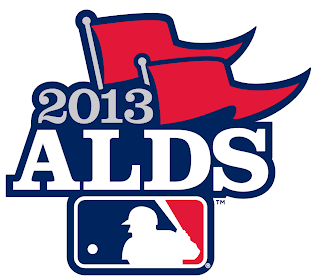 A Red Sox sweep would not surprise me in the least right now, even though I picked them in five. If I told you Justin Verlander would toss seven shutout innings and strikeout 11 batters and nothing else, you’d likely think the Tigers came out on top. Except, Athletics’ rookie Sonny Gray went eight innings allowing just four hits and two walks with nine K’s. Classic postseason pitcher’s duel and the A’s walked it off on a single by catcher Stephen Vogt in the ninth. Verlander was at 117 pitches after seven innings – can’t blame Jim Leyland for going to his pen in the eighth. The series has featured great pitching thus far, something that should continue until a victor is decided. The Tigers mash at home, but the A's staff has been very good all season. This makes for great drama, unlikely heroes and perfect October baseball.